The Philippines is an archipelago of over 7000 islands and is one of the world’s most biodiversity landscapes. The islands were first colonized by Spain in the early 1500’s and then were part of the American holdings until well after the Second World War. In 1934 American Governor General Frank Murphy, declared the Sampaguita (Philippine Jasmine) the national flower. Known for its heady fragrance & its delicate white petals it symbolizes purity, harmony and goodwill. Flowers speak a language of love and innocence. Universally speaking the world has a long and storied history of gifting flowers. The archipelago of Philippines too is no exception and possesses a colorful and long history with flowers. Woven into its culture and social life, flowers are extensively used for religious celebrations, social life and for gifting to families, friends and relatives. Keeping this in mind we bring you a complete flower gifting guide for Philippines, so you may not set a foot wrong when Gifting Floral Arrangements to your Filipino friends. Like in most countries, the Rose (in Red, White, Yellow and Pink) is the queen of flowers in the Philippines too. Red Roses symbolize deep feelings of affection thus playing an important role in the ‘All Saint’s Day Solemnity’. Hydrangeas of all colors symbolize feelings of care, concern and joy. Orchids, a flower that grows abundantly in the local tropical environment, symbolize fertility, love, devotion and delicate beauty. They are so sought after that some communities hold special rituals during the Orchid blooming season. The Sampaguita (Jasmine) is the national flower and is considered to be an icon of peace. A few places it’s also considered as the ‘flower of love’. Anthurium, also called the tail flower, is considered to be a special gift when courting someone. The Hibiscus or Shoe Flower is known to be ‘A flower of happiness and celebration’. In Filipino or pinoy culture, the family is at the heart and center of all special occasions. Flowers are considered tokens of love, gratitude, celebration, innocence and all things good. The devout Catholic upbringing of the Filipinos and the religious celebrations that come with it, you have multiple occasions where flowers, floral arrangements and bouquets come together to play an important role in gifting. No one is immune to the charms of love and the Filipinos are no exception. Stung by the Cupid’s arrows and drunk on love, they celebrate Valentine’s Day like no one else does. Valentine’s Day has a dual meaning here. The first one is the celebration of love, and the second one is celebrated as the Solemnity of St. Valentine. Couples, be young or old, spend the day expressing their love for each other, and showering their significant other with flowers and gifts. Want to charm your ladylove or Let her know the effect she has on you? Think of a bespoke bouquet of Red Roses (can there be anything else, really?). Want to show her the many shades of your love? 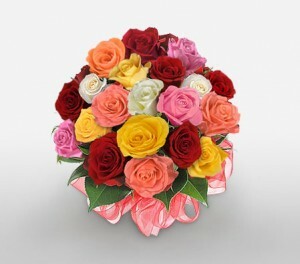 A rainbow bouquet of Roses in many colors will do the trick. Wanna express your feelings, but falling short of words? Try flowers, women loves them. Filipinos love expressing their passion with flowers like Roses, Carnations, Lilies, Tulips, Orchids, Sunflowers, Gerber Daisies and the list is endless. There’s an old proverb, “The mother is the heart in the hearth”; which means that the sustenance that a mother provides makes the family tick. Filipino families hold this proverb to be true. The matriarch of a pinoy family is revered and respected as she is considered the most important member of the family. You can imagine, Mother’s Day is therefore an extremely important occasion in Philippines. Mothers are not only felicitated and celebrated, but in some parts they are even venerated. Flowers play a very special role in the celebration of Mother’s Day in Philippines. Flowers most popular at this occasion are Roses in Pink, Red and White, Lilies, Carnations, Sunflowers, Alstroemeria and Gerberas. Celebrated on 8th March (much like in the rest of the world), Women’s Day is an extremely important day in the Philippines. It helps underscore the important contributions made by women to the society, culture, family and economy. Women’s Day is seen as an occasion to show the woman in one’s life how much they mean. Filipino men spare no expense and thought in planning to treat that special women to a great Women’s Day. Needless to say, floral arrangements and bouquets are an important part of this day. Flowers that are stars of the proceedings include Red, White and Pink Roses as symbol of love, respect and honor for the different roles a women plays in her life. It goes without saying that Roses are an important part of the Women’s Day celebrations; in order to avoid disappointment, ensure you book your Rose themed arrangement well in advance. In the Philippines, Mothers’ Day is traditionally celebrated on the first Monday of December. This is also a time when the flowers are bloomed with the departure of the oppressive summer. Parents Day therefore does merit a florally themed centerpiece and gifts to honor and celebrate one’s parents. Amongst Filipinos, the most popular flowers for the Parents Day festivities are pink, red and white Roses, along with Lilies and Carnations. When choosing a flower themed bouquet for Parents, carefully take into consideration the floral preference of both the parents. If the mother is at the heart of a family, the father plays a constant support role in the family. In Filipino, the father is thought of as the breadwinner and a source of strength. Father’s Day celebrated in the third week of June (in keeping with the international date) is an occasion of reverence and love to one’s father and the institution of fatherhood. Filipino families use a lot of flowers celebrating this day. The most popular of all of them are Red and White Roses. Other thoughtful gifts given around this time include Chocolates, Cakes (specially the Rich Chocolate ones), Gift Hampers and even Teddy Bears. Plan your purchase of flowers in advance, and while you’re at it don’t forget to reserve a thoughtful rich chocolate cake to really make your dad feel like he’s being celebrated. Christmas is easily the most popular and influential festival in Catholic majority Philippines. Devout fervour, extensive preparations and of course lip-smacking food are all an integral part of the festivities. So are floral arrangements, as the Philippines is an archipelago, Christmas time in the Philippines coincides with a pleasant break in the weather, as the temperatures are equable for the only time in the year. Unlike most other places in the world, Christmas in the Philippines therefore is a festival of flowers. The most popular flowers at Christmas therefore are red, pink and white roses, chrysanthemums and of course lilies and gerberas. Combine your Christmas floral arrangement with items like chocolate cake, candy, wine and snacks for a welcome Christmas hamper for the ones you love. Easter is the most important festival of the Christian Church. It celebrates the resurrection of Christ and is held between 21st March and 25th April, on the first Sunday after the first full moon following the northern spring equinox. Maundy Thursday is the start of the main Easter celebrations in the Philippines, which is part of the larger Holy Week celebrations. Traditionally White flowers are the foremost choice for Easter, but you can send a colorful arrangement of Pink Lilies or Mixed Color Roses in a woven basket. Great choices for Easter include spring flowers like Daffodil, Tulip, Rhododendron & Azaleas. In Philippines Easter is celebrated by gifting Easter eggs, flowers and gifts to loved ones. Send Purple Tulips Bouquet on Easter to say thanks. 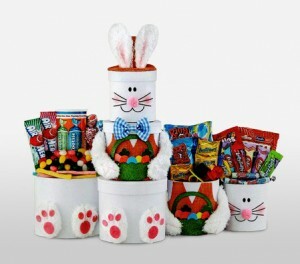 Add Easter Eggs, A Easter Hamper or Easter gifts along with your bouquet of flowers. How To Get It Right When Choosing Flowers For Different Occasions? In the Philippines, family gatherings and personal milestones are important flower gifting occasions. Special days are always celebrated with pomp and fervor. The Filipinos (or pinoys as they are called) are emotional people who hold family and friends in high regard. 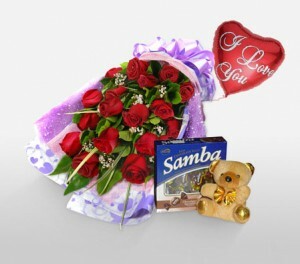 Therefore gifting floral arrangements and bouquets is a common way to show they love and care. It’s of great significance in Filipino culture to gift the right flowers to valued people in their life. This next section will help you pick the right flowers for different occasions, without making any symbolism related errors or faux pas. Birthdays in the Philippines are celebrated with great ardor and festivities. Like anywhere else in the world, it is considered a special day. The Filipinos go out of their way to be nice and make the day special. It is time spent with family and friends, toasting the individual whose special day it is. The Flowers To Go With: Depending on what your relationship to the person is, White, Pink or Red Roses, or combination of colored Roses, Gerberas, Lilies and Chrysanthemums are the go to flowers. Combinations: Our suggestion, keep it simple. For spouse or lover choose a floral arrangement along with a bottle of wine. 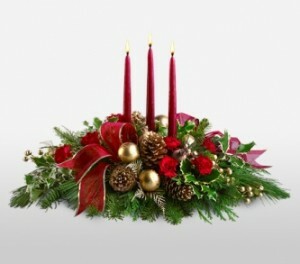 For siblings or a friends, a floral arrangement along with a gift. For parents, a nice aged wine bottle with flowers. Birthday Greeting Card Ideas: Don’t do the staid “Happy Birthday”, instead use a blank greeting card and a custom composed stanza, something like: (to spouse or lover) “Another year passes and you mature like fine wine” – (to people you know) “It has been a pleasure getting to know you. Now it’s an honor to wish you a lifetime of happiness and love”. 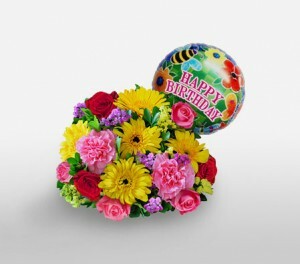 Arrangement Style: As always a hand tied bouquet is our recommendation for a birthday. 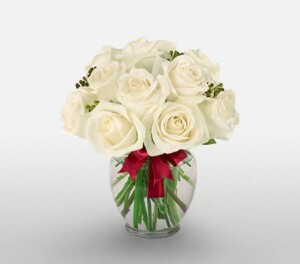 If you know the recipient has no vase, send an arrangement with a vase instead of a bouquet. Always consider their favorite flower when creating your floral arrangement. Weddings in the Philippines are predominantly in the Roman Catholic tradition, means a celebration of the nuptials in a church. This is normally followed by a reception with either lunch or dinner and dancing. Church or wedding receptions, both are excellent opportunities to showcase flowers as centerpieces and gifts. The Flowers To Go With: Roses, because of their connection to love. Consider Red and White Roses. But in the Philippines flowers like Orchids, Hibiscus and Anthuriums are considered to be flowers of love, and so are served up as wedding gifts and floral arrangements. Combinations: Like in the west, a wedding registry where couples register for the kind of gifts they’d like to receive is gaining popularity. So combining your floral arrangement with one of these gifts is a great idea. 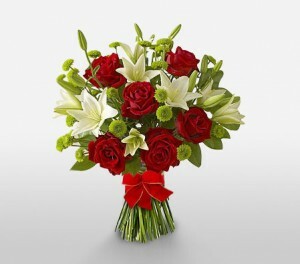 Arrangement Style: Hand tied or S-shaped bouquets are the most suitable. Choose seasonal flowers for your bouquet. Keep in mind both the bride and the groom’s favorites and use a complementary combination for the best result. As Catholics, Filipinos practice the religion’s ideologies concerning death and conduct their funeral services in accordance to Catholic theology. It’s a solemn occasion and also the perfect time to express your feelings for the deceased through floral tributes and arrangements. 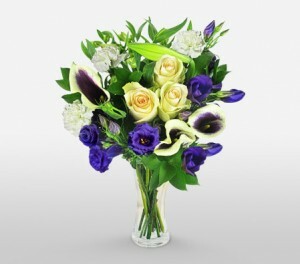 Flowers help you express your sympathy and solidarity with the bereaved family in a respectful way. 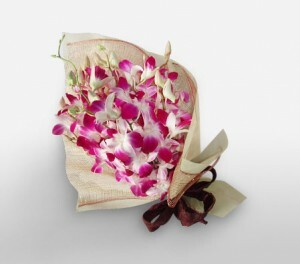 The Flowers To Go With: White flowers including the national flower Sampaguita are thought of as respectful tokens. So are White Roses, Lilies and Carnations. 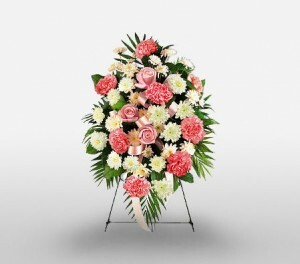 Arrangement Style: Wreaths and standing sprays are the preferred style as they can be placed directly beside the coffin or the grave. White flowers are the choicest at a funeral. When getting your wreath or spray made, insist on the most flawless flowers possible as even the slightest blemish can be treated as a mark of disrespect. Where Do Flowers In Philippines Come From? Philippines is one of those countries that has its own (pretty serious) horticulture market and is one of the region’s leading exporters of flowers. While the nation is self sufficient in Sampaguita, Hibiscus and certain orchids, flowers like Roses, Gardenias, Lilies, Daisies, Tulips and many more are imported. Roses are imported from other temperate countries like India, China, South and Central America. 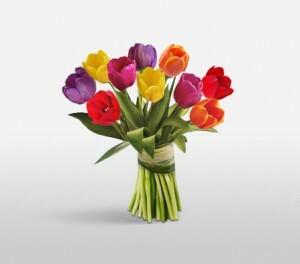 Tulips, Daisies and Lilies are imported from Japan, Holland, Italy and Germany. The Filipino flower market, in the near future, is slated to import from countries of Africa like Senegal, Nigeria and Ghana. Insist on local flowers whenever possible: Local flowers are hardier and keep better than imported ones. It also has more meaning and nostalgia to the recipient. In most cases, local flowers are also cheaper than their foreign variants. Always check the flowers for freshness: Wilted flowers show a serious lack of care or concern. So before you set your flowers in a bouquet give them a thorough once over to avoid any embarrassment. Always take into account the recipient’s likes and dislikes: Would you like it if you were fond of Roses but receive Carnations instead? Well the same is true for others’ as well. So before gifting someone flowers, take into consideration his/her likes or dislikes. Research the meanings of flowers: Do a little light reading on the meanings of flowers before you indulge in them. What you should and should not present during occasions, celebrations and rituals. Sugar, vitamin C, aerated drinks act fantastic revitalizes. Adding some of these to the water in the vase is a good idea. This will provide cut flowers with some extra nutrition. Filipino culture is warm and an amalgam of the east and the west. It’s a friendly, loving and accepting place where floral arrangements, cut flowers and bouquets play an important part in the celebration of festivals and occasions. With this simple list of do’s and don’ts you can confidently gift flowers without the fear of committing any faux pas.